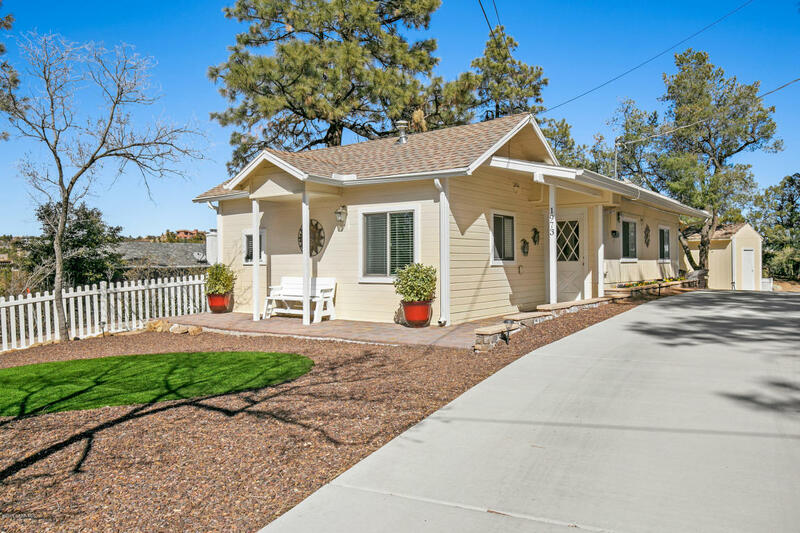 This Charming Home is in the cool pines yet just minutes from downtown Prescott. It offers forest views and has been remodeled from the ground up. There is a spacious kitchen with newer cabinetry & appliances, a dining area and living room. There are 2 bedrooms and a large bathroom with tile shower and newer fixtures. There is a partially covered patio in the front and a larger paver patio in the rear. It also offers a storage shed in the back. New concrete driveway. There is also part of the lot that is suitable for extra parking, possible RV storage, garage or extra shed, etc.